This is a used Galaxy S that will not restore. The touch screen works intermittently. It is in good condition with only light scratches. Does not include any adapters or accessories. 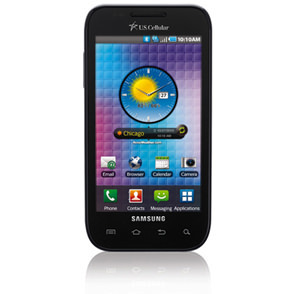 The Samsung Galaxy S SCH-1500 has a Super AMOLED 4-inch display screen that can produce images with 480x800-pixel resolution. The touch-sensitive screen can sense fingers or touch pens for navigation of on-screen menus. A 1 GHz Cortex A8 Hummingbird application processor is utilized by this Samsung mobile phone along with the Android 2.1 operating system.